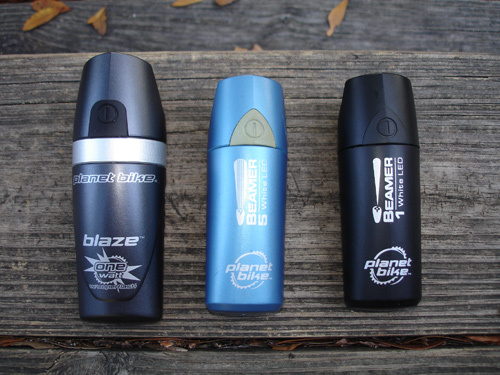 Been using the Blaze 1/2 watt & Superflash for a few months and I have no complaints. jdmitch…that’s actually what I got: the combo pack. That way I got the black-cased Blaze instead of white (and another Superflash…that makes about a dozen I have now)! 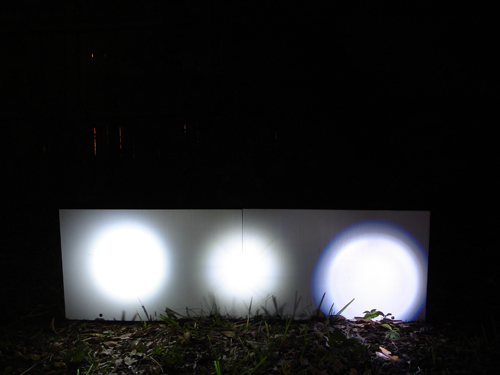 I have the 1W and it really lights up the traffic signs, even before sunset. I’ve been commuting in DC for several years now. I have a long stretch of my ride that takes me down East Capitol St. The street is broken up by only a few lights, but every non-signal list block has cross streets (they have stop signs). Again and again while riding home from work in the summer (when it’s still fully light), I had cars pulling out in front of me trying to cross E. Cap. St. It was getting dangerous and seriously starting to bug me. Until I got the 1W Blaze. Now, everyone sees me–even in broad daylight. Thanks Planet Bike! I have a couple of lights that feel loose while mounted to the handlebar, another easy fix is to cut a section from a old tube (We ALL have at least one!) and fold it around the bar where the light will go, clamping over the folded tube so a tight fit is possible. I got to get myself one of those lights, too! I have had lousy luck with battery powered headlights. I’ve gone expensive (Niterider Digital Pro 12E, Niterider Trail Rat) and I’ve gone through a bunch of sub-$40 models. Any idea how the Blaze holds up over time? I’m looking for a small headlight for my road bike. It’s too hot to ride in the daytime so I’m starting earlier in the morning or later in the evening. My SUB (Sport Utility Bike, a Trek 7300) has a dynamo powering a DLumotec Oval N Plus headlight and a Toplight Flat Plus taillight. For a purely utilitarian bike, a quality generator and light set is the absolute best way to go. It always works. I never have to worry if the batteries are charged. I just get on the bike and go. My experiences have been favorable for the various PB lights. I’ve got two that have been with me for a couple years…the rubber switch cover starts to craze in the Florida sun, but neither have ever failed me, despite repeated rain soakings and being stored outside. 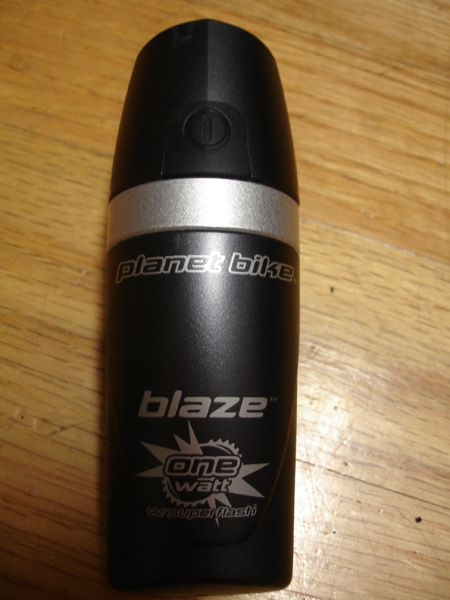 The Blaze 1W has been through much the same, only for less time (5 months or so). Battery life is good…several hours on the high setting…and the case is fairly-well indestructible. I’m curious how the 1W Blaze stacks up against a middle-ground light like Cygolite’s Hi-Flux II – I picked up the Hi-Flux for lighting my commute as the days got shorter last year and I nearly ran into a tree trying to convince myself I could see just fine. Cons: Wimpy twist connection holding batteries in. Does not work below 35F. I would not buy again for $45 but would consider it at $30. There are a lot of items in cycling where one can cut corners. I’ve used cheap panniers, I have a Bell mulitool from Walmart, and most of my bike clothes are Performance or Nashbar. Lighting, however, is one place where you should spend as much as you possibly can. I want drivers to SEE ME. Multiple rear blinkies. Reflective gear, and a headlight that’s bright enough to get their attention. In my mind, the minimum is something like the DiNotte XML. 200 lumens in a small package, for $119. 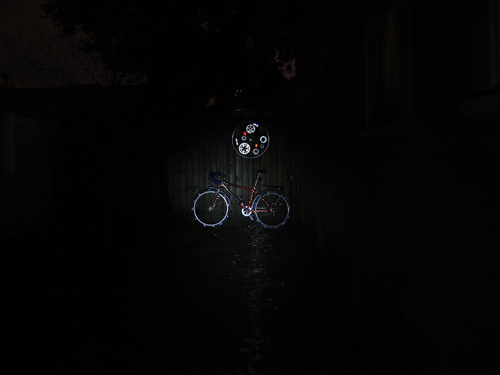 Yes, that’s expensive, but having a bright light is worth the expense, especially if you ride in dark, rural locations. 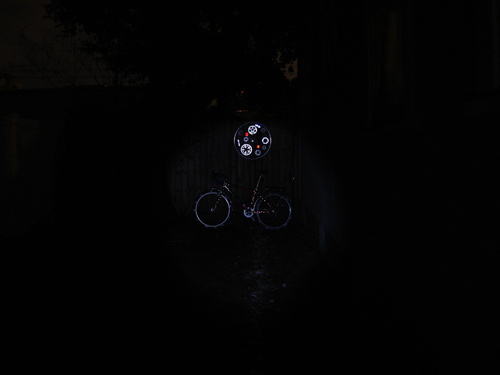 My main commuter has the DiNotte 600L—600 lumens. That, in my opinion, is the right amount of lighting. There are people who use brighter lights, but I think that’s overkill. Ideal setup is a generator hub and one of the new LED dynamo lights, but that gets really pricey, even for a light addict like me. Folks, this post is over 2½ years old. Sometimes it’s best to let the dead rest.